The two might seem completely different. But each world is rich in characters who spring to life, grab the reader (or viewer) by the hand, and draw them into adventures that are often terrifying. The Woman in White's plot centers around the marriage of Laura Fairlie. Strangely, she is the one persona who doesn't come alive at all. She suffers from the Victorian disease of being completely forgettable. Like Dora in David Copperfield, Laura is a pretty nonentity. However, Count Fosco is so real I felt like I met him when I first read the book. I can just picture this man: brilliant, intelligent, and with a mania for sweets and birds. Fosco might just be the first Bond villain. Ditto with Frederick Fairlie, Laura's uncle. A selfish hypochondriac who is obsessed by art, I could imagine him as a Game of Thrones character. 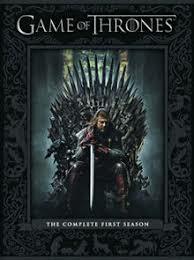 Add a few carnal vices, and he'd fit right in King's Landing. 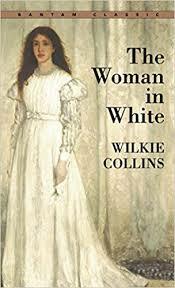 But the character in The Woman in White who captured my imagination is Marian Halcombe, Laura's half-sister. Strong-willed and intelligent, she is depicted as having a lovely figure and an ugly face. It's a fascinating combination. And apparently, I'm not the only one to feel such fascination. When the novel was published, men from all over England wrote to Wilkie Collins. They wanted to know if Marian was based on a real woman. They all wanted to marry her. This seems to show how attractive strong characters are, even to a Victorian gentleman of letters. Throughout the murder mystery unfolding in TWIW, Walter (the protagonist) works closely with Marian to help Laura and save her from a disastrous marriage. Although he says he is in love with Laura, certainly Walter spends most of his time talking to Marian. Count Fosco is in love with Marian - in a completely creepy, villainous way. As for Marian, all of her devotion is on Laura as well - the nearly invisible heroine who is never described. 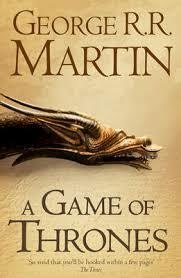 Over a century later, enter George R. R. Martin and A Game of Thrones. His signature characters, besides doomed royalty, are strong women who leap off the page with authentic energy. 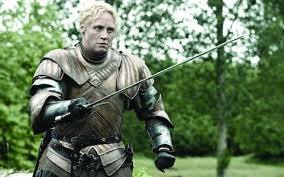 Take Brienne of Tarth or Arya Stark: these women know how to fight and don't suffer fools gladly. Such original people create original relationships. The friendship (if that's what we can call it) between Arya and the Hound is tense, fraught with danger, and very real. It's the same with Brienne and Jaime Lannister, who eventually begins to realize that the massive female sword-fighter is the best and bravest person he's ever met. It's the same in The Woman in White. The partnership between Walter and Marion is completely free of desire. As for Fosco, his oleaginous and complete admiration for Marian - the woman he is bent on ruining - is new and fresh and completely real, even in the new millennium. If you enjoyed Game of Thrones, The Woman in White might seem like an odd recommendation. But both feature mystery, incredible storytelling, and amazing casts. I never expected to cherish this book as much as I did and I'm so cheerful I attempted it. It's a long one, so be set up for that. Be readied, likewise, for wanders aimlessly and that hammer you feel when you thought you recognized what was happening and had everything made sense of and you got the floor covering hauled out from under you!